Fresh blueberries are a treat during the hot summer months. This popular fruit is sweet, delicious and loaded with powerful antioxidants that can be paired with different foods to enhance flavor. A group of antioxidant compounds, anthocyanins, are responsible for the royal blue color and contributes to various health benefits like reducing blood pressure and protecting our cells from free radical damage. Additional health benefits of blueberries are subject of ongoing scientific research. Blueberries are low in calories, fat, cholesterol free, sodium free and a good source of dietary fiber, Vitamin C, Vitamin K, and manganese. Dietary fiber may lower the risk of cardiovascular disease and adds bulk to your meals, which may help you feel full faster. 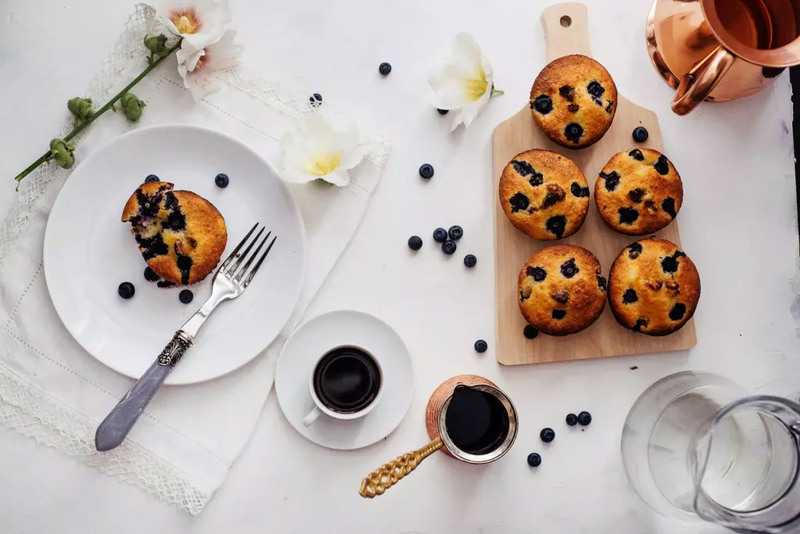 One cup of fresh blueberries contains 80 calories, 0 grams of cholesterol, 1.1 grams of protein, 0.49 grams of fat, 21 grams of carbohydrate and 3.6 grams of dietary fiber (14% of daily requirements). Blueberries are a versatile fruit that blend well with different cuisines and flavors that can seamlessly be incorporated into your diet. 1. 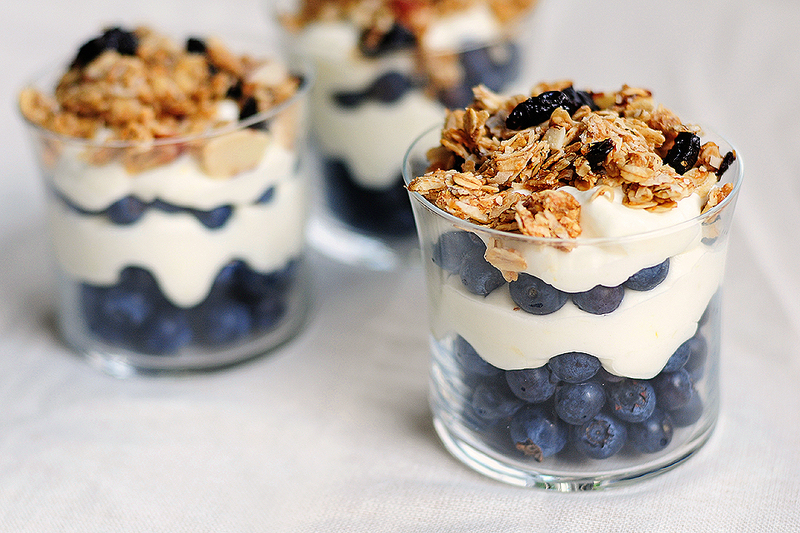 Naturally sweetened your oatmeal, plain Greek yogurt and high fiber cereal with fresh blueberries. 2. Salads are quick, easy, and a summertime favorite. 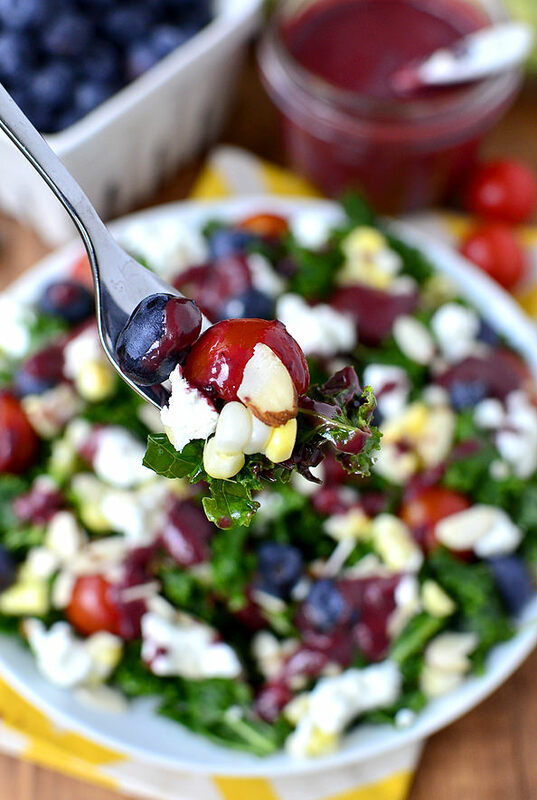 Sprinkle a handful of blueberries on top of fresh spinach or mixed greens, cucumbers, scallions, parsley, feta cheese and walnuts for a burst of flavor. 3. Grab a handful of fresh or frozen blueberries and add half a banana, plain Greek yogurt, low-fat milk or a plant-based milk substitute like unsweetened soy milk for a refreshing breakfast smoothie. 4. Seeking a nutritious dessert? Look no further than a fruit parfait. Layer blueberries, strawberries, pineapple, vanilla Greek yogurt, and top with crushed raw almonds or other unsalted nuts. 5. Fruit kabobs are a fun summer treat. Stack fresh blueberries, strawberries, kiwi, melons on a skewer and enjoy with or without vanilla Greek yogurt as a dip. 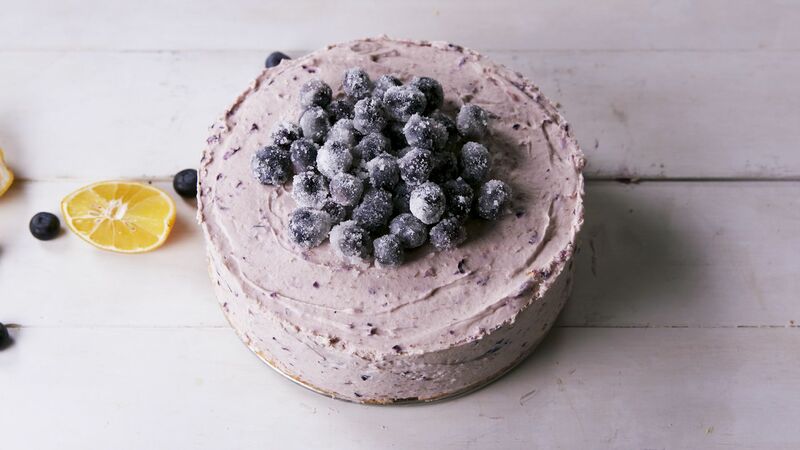 Fortunately, blueberries are available in different forms: fresh, frozen, freeze dried and in jellies, syrups and jams. Be certain to check the nutrition facts label of frozen and dried blueberries for added sugars. When purchasing jellies or jams, go for all natural fruit spreads without the added sweeteners. Store unwashed blueberries in the refrigerator in a container with a lid for up to 1 week. To freeze, rinsed fresh blueberries, dry on a paper towel and store in a container with a lid in the freezer for up to 9 months. Blueberries are a wonderful and nutrient-rich fruit that can add flavor to a variety of foods or eaten as a simple snack. 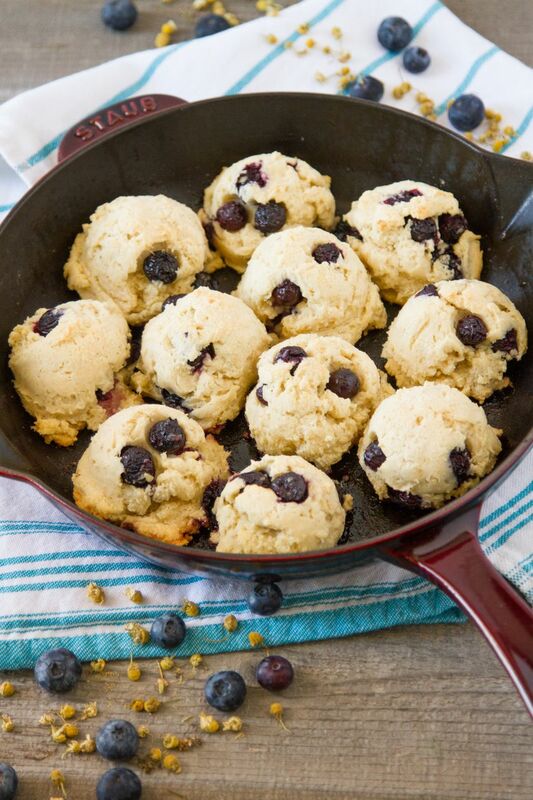 Take advantage of peak blueberry season in the United States in June and July. I always try to stock up on an abundance of blueberries in the summertime and freeze to enjoy this succulent and sweet fruit all year round.